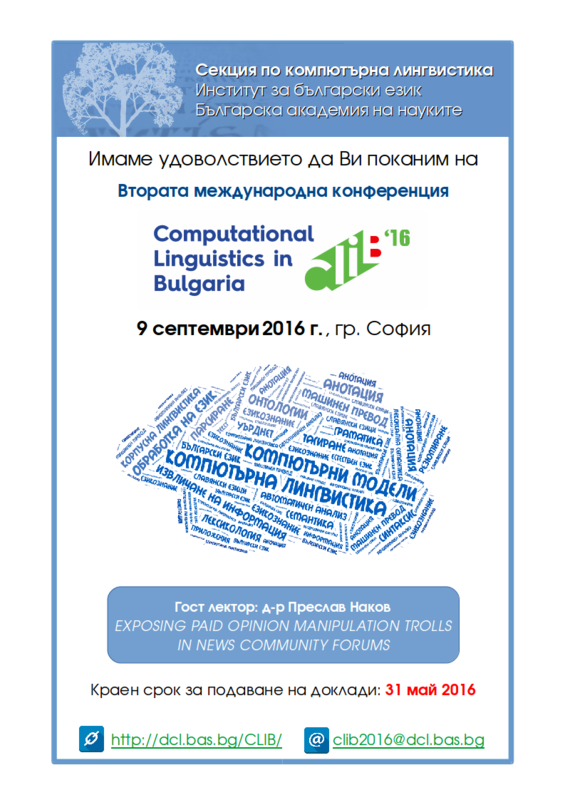 The Department of Computational Linguistics (DCL) is proud to announce the Second Conference on Computational Linguistics in Bulgaria and the Call for Papers for this issue. The Second CLIB Conference will be held in Sofia, Bulgaria, on September 9, 2016. 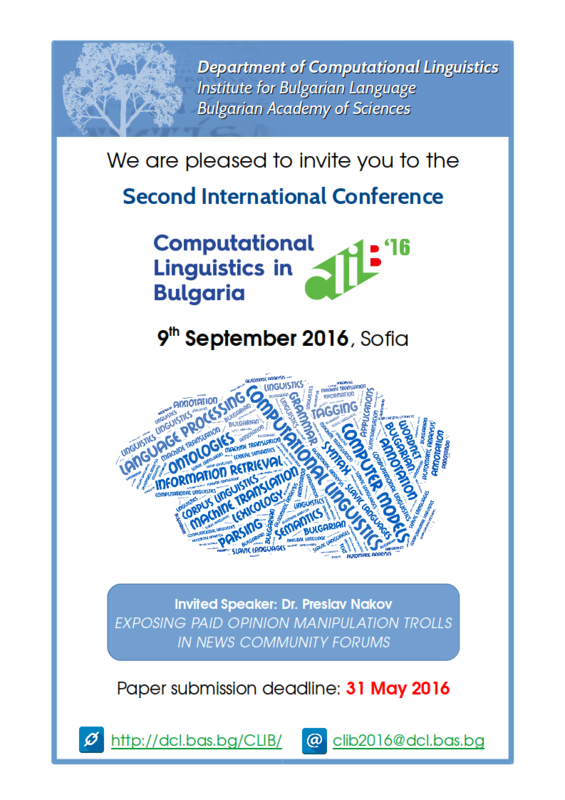 It is organised by the team of the Department of Computational Linguistics at the Institute for Bulgarian Language in conjunction with the Faculty of Slavic Studies and the Faculty of Mathematics and Informatics at Sofia University.